An award-winning charity, which rescues women from forced marriage and hundreds of young people from radicalisation, faces closure in a matter of months if it does not receive further funding. Founded in 1989, JAN Trust was originally set up to support marginalised and isolated communities in north London, but has since expanded to reach people across the UK. However, it only has sufficient funds to keep its services running until March 31 this year. ajda Mughal, director of the charity, said that their work had “saved lives” and that she would “dread to think” of the consequences if the charity closes down. “We have worked one-on-one with victims and intervened in cases of honour-based violence within families, FGM (female genital mutilation), forced marriage, and even cases where a woman’s life has been at risk at the hands of her own family. She saw the blade, but dared not move. That was the command! If she did, it would haunt her, her children and the generations to come. That was the cultural notion. The closer the rusty blade got to her, the more frightened she was. Syada Chebet, only a teenager then, told herself it was indeed for the best. So if she braved the knife, that funny-looking blade, just for a second, it would be just fine. Her future would be just fine. It was only part of her genitalia, it should be fine, she thought. “It will not take long, it cannot take long,” she soothed herself. She would let the wrinkly and mean-looking old lady sucking on a tobacco pipe, cut her genitalia. After all, they said it should take a second, right? No, it did not! The closer, the rusty blade got, the more frightened she got. So, she thought to herself: “I can run, I will run!” Sadly, before she could react, two giant men tore her thighs apart, and pressed them on each side. “Stay down!” they commanded, all the while stepping on her thighs. The old woman, also the village’s mutilation surgeon, had since abandoned her pipe and had now started speaking like she was possessed. With her rough fingers, the old woman latched onto Chebet’s genitalia, and pulled. Statistics from a Freedom of Information request to the Met revealed that Newham had 59 reports of honour related crime since 2010. According to the figures, the borough came joint second with neighbouring Redbridge for the number of reported honour crimes in London, while Brent topped the list with 82 incidents. Sudarshan Bhuhi, chief executive officer of Stratford charity Aanchal Women’s Aid, said she was not surprised by the figures and that she believes more incidents may be going unreported. She added: “The issue is quite close to my heart. “I have been working in here and the economic divide is so diverse – there’s not enough funds for specialised support.” Balvinder Saund, of the Sikh Women’s Alliance (SWA) in Ilford, explained that the “idea of honour” was still present. “It’s about control and subservience. These old ways of thinking should be left behind – there’s no place for it,” she said. A Newham Council spokesman explained confidential support is available to all victims of domestic and sexual abuse. 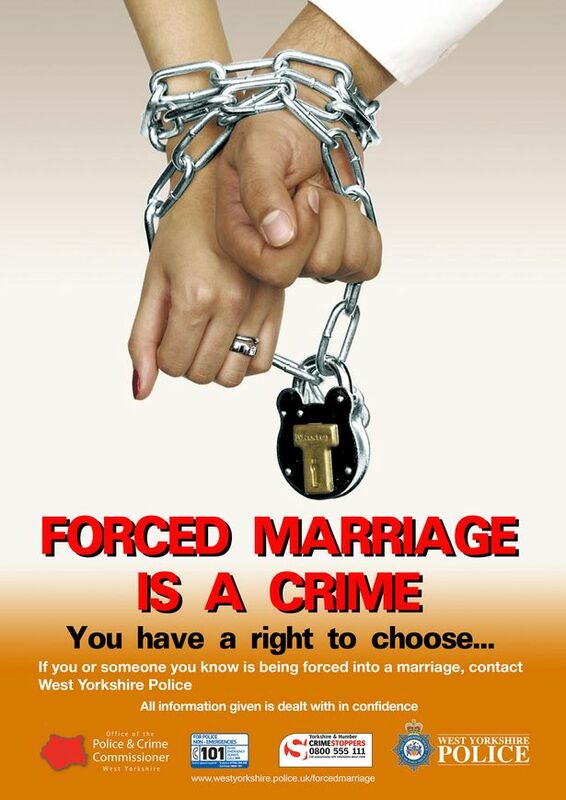 Last year in the UK, 1,267 people were assisted by the government’s Forced Marriage Unit. Add to this the number of people supported by specialist independent charities, as well as local police forces up and down the country, and you have a figure running well into the thousands. In Channel 4’s powerful documentary Forced Marriage Cops (going out this evening) director Anna Hall and her team follow the work of police officers in Greater Manchester as they investigate 250 cases of forced marriage over the course of 12 months. This wasn’t an easy programme for me to watch. It’s been almost 20 years since the police and local authorities helped me escape from my family because of abuse and the threat of forced marriage. So much time has passed now, and it’s more than jarring to see past experiences reflected so powerfully on camera in the lives of other women like my siblings and I. Forced Marriage Cops focuses on the stories of several women, and each one illustrates the different ways that victims can be affected by forced marriage. “Courage is not the absence of fear, but the triumph over it,” said Nelson Mandela. Nasreen Sheikh is, undoubtedly, one of the most courageous people I have ever met. She is a social entrepreneur living in Nepal and is subverting the typical role of a woman in her society. She is changing the lives of dozens of women in Nepal and has a goal to help hundreds more. This is Nasreen’s story. At 23 years of age, Nasreen Sheikh radically redefines what it means to be a Nepali woman. 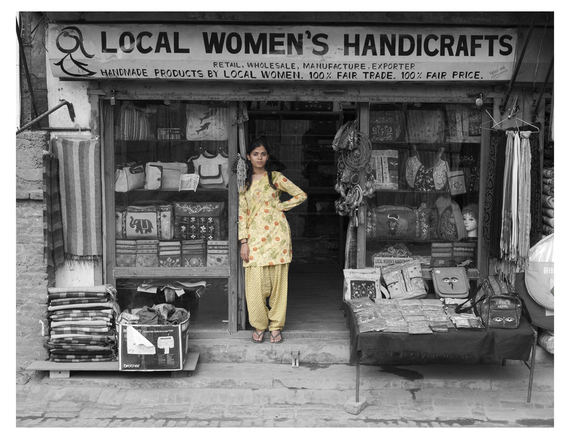 She is a Sunni Muslim living in a predominately Hindu community and is the founder of a fair-trade sewing collective called Local Women’s Handicrafts, based in the country’s capital of Kathmandu. The company sells bags, scarves, wallets and shirts; and only employs women from disadvantaged backgrounds. The business focuses on empowering and educating women with the intent to change the cultural and social norms in Nepal. The “Honoring our Heartbeats” tour to end forced marriages in the U.S. stopped in Houston on Thursday with a community forum and performance to highlight the issue. In partnership with Houston NGO’s Daya and Voices Breaking Boundaries, the Tahirih Justice Center and Pomegranate Tree Group brought to life on stage a comic book about breaking free from a cycle of violence. “We look at it as a love letter to our communities. This comic book (and performance) is an opportunity for the community to heal together,” said Farrah Khan with Pomegranate Tree Group. Most would agree that with a women murdered every six days in Canada, we need to address gendered violence in all its forms. This cannot be done, tempting and reassuring as it might be, by simplistically attributing the problem to one religious group to the exclusion of others. In the Clarion Project’s latest documentary titled Honour Diaries, now making its way around North America, the producers seem bent on doing just that. The documentary claims to expose the paralyzing political correctness that prevents us from addressing the human rights disaster that is honour-based violence. There is no doubt that violence against women motivated by the preservation of family honour continues to be a problem in many parts of the world, including here in Canada. Labeling it as an exclusively Muslim problem, however, is not only inaccurate but also threatens to overlook the systemic problems at the root of all gendered violence. Doing so further risks promoting bigotry that will alienate those best placed to address the problem. In fact, organizations like the Canadian Council of Muslim Women refuse to even use the term “honour killing” preferring the term “femicide” instead. It is after all murder in all cases. In their view, the term honour needlessly separates women and girls into groups based on race, culture and religion. The term has ballooned to include a large swathe of activities — everything from murder of women with foreign sounding names, forced marriage, female genital mutilation/cutting, to selective abortion. It is hard to find anything in common except that these activities are somehow associated with people from “non-Western” traditions. Essentially, honour crimes describe crimes that are not all that different from other violence against women. They are crimes with power and control at their core. They are a violent denial of the right of women to choose for themselves how to live their lives.